Office 365 reporting is complex. 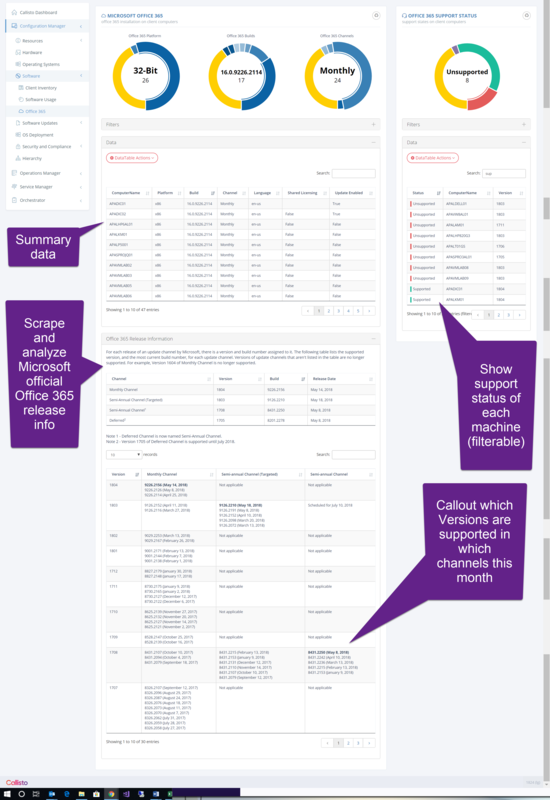 Tracking the deployed versions and servicing rings and whether the version being managed is supported is complex. Callisto makes this easy by analyzing the data available in Configuration Manager and providing an Office 365 Support Status chart and table for each device.